The CHOP-RIT regimen improved progression-free survival (PFS) compared with R-CHOP alone in previously untreated patients with follicular lymphoma (FL), according to findings from the phase III SWOG-S0016 trial published in the Journal of Clinical Oncology. SWOG-S0016 evaluated the safety and efficacy of CHOP-RIT (rituximab plus cyclophosphamide, doxorubicin, vincristine, and prednisone followed by consolidation with iodine-133–tositumomab radioimmunotherapy) versus R-CHOP (rituximab plus cyclophosphamide, doxorubicin, vincristine, and prednisone). A total of 152 patients in the R-CHOP arm either experienced progression or died during follow-up compared with 118 in the CHOP-RIT arm. That translated into an estimated 10-year PFS of 42% (95% CI, 36.2-48.5) in the R-CHOP arm and 56% (95% CI, 50.0-62.3) in the CHOP-RIT arm (P = .011). Investigators said the difference in 10-year estimated overall survival (OS) between the 2 groups was not significant. Fifty-two patients died in the R-CHOP arm for an estimated 10-year OS of 81% (95% CI, 75.9-85.4). There were 65 deaths in the CHOP-RIT arm, for an estimated 10-year OS of 75% (95% CI, 69.3-80.2; P = .12). 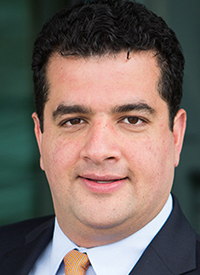 “Although the introduction of novel and noncytotoxic therapeutic agents may change future treatment options, chemoimmunotherapy offers outstanding long-term disease control and survival, with almost half of patients in S0016 still progression free after a single line of treatment with 10 years of follow-up,” wrote corresponding author Mazyar Shadman, MD, Fred Hutchinson Cancer Research Center, and colleagues. “Given these outstanding outcomes, immunochemotherapy should remain the standard induction approach for patients with high-risk FL, with CHOP-based regimens as viable alternatives to bendamustine-based regimens. Our results offer a benchmark for comparison of future regimens,” added Shadman et al. Shadman et al recruited 531 previously treatment-naïve patients with FL from 2001 to 2008. Patients with previously untreated CD20-positive FL of any histologic grade were eligible if they had stage III to IV disease or stage II bulky disease. Performance status of 0 to 2, granulocytes ≥1500 cells/µL, and platelets ≥100,000/µL were required for enrollment. Patients were excluded if they had CNS involvement, were HIV positive, were pregnant or lactating, or had severe heart disease. Patients with prior malignancies, except for nonmelanoma skin cancer or in situ cervical cancer, were also excluded. Investigators were encouraged not to enroll patients with asymptomatic or low-burden disease. Patients were randomly assigned to either 6 cycles of R-CHOP (n = 279) or 6 cycles of CHOP-RIT (n = 275). Physicians administered CHOP every 21 days at standard doses (750 mg/m2 of cyclophosphamide, 50 mg/m2 of doxorubicin intravenously, and 1.4 mg/m2 of vincristine and 100 mg of oral prednisone once daily for 5 days). Rituximab was administered on days 1, 6, 48, 90, 134, and 141. Patients in the CHOP-RIT arm received CHOP at the same doses and interval followed by 131I-tositumomab 4 to 8 weeks after the sixth cycle. The therapeutic dose was administered 1 to 2 weeks after the dosimetric dose with 450 mg of tositumomab followed by 35 mg of 131I-tositumomab to deliver a 0.75-Gy whole-body dose in patients with normal platelet count or 0.65-Gy dose in patients with platelet count of 100,000 to 149,000/µL. Roughly one-fourth of patients had bulky disease and 70% of patients in each treatment arm were considered to be intermediate or high risk according to the Follicular Lymphoma International Index (FLIPI). More than 90% of patients in both arms completed treatment, for an overall completion rate of 93%. Nearly all patients in both groups had objective remissions. The complete response rate in the R-CHOP arm was 37%, and was in 41% in the CHOP-RIT arm. Incidence of second malignancies was similar between the 2 treatment arms. Forty-three patients (16.1%) in the R-CHOP arm and 40 (15.1%) in the CHOP-RIT arm developed secondary malignancies (P = .81). There was little difference in PFS (49% vs 47%; P = .82) or OS (79% vs 67%; P = .07) for patients with grade 1 to 2 FL compared with those who had grade 3 disease. Similarly, there was no significant difference in PFS (HR, 0.69; 95% CI, 0.37-1.30; P = .25) or OS (HR, 0.48; P = .08) for patients with bulky stage II disease versus patients with stage III to IV disease. Shadman M, Li H, Rimsza L, et al. Continued excellent outcomes in previously untreated patients with follicular lymphoma after treatment with CHOP plus rituximab or CHOP plus 131I-tositumomab: long-term follow-up of phase III randomized study SWOG-S0016 [published online January 22, 2018]. J Clin Oncol. doi: 10.1200/jco.2017.74.5083.